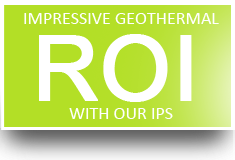 Simple payback on vertical geothermal field investment when combining geothermal with IPS technology is no more than 5 Years, without government tax incentives. ABS is delivering ECO-Friendly sustainable innovations which create healthy and safe environment globally. An award winning ABS Group is an international provider of POWER SOLUTIONS, SUSTAINABLE PRODUCTS, CLEAN ENERGY SOLUTIONS & ENGINEERING SERVICES to public and private corporations in Transportation, Industrial & Real Estate sectors. We believe that our long-term economic prosperity depends on our ability to preserve and improve the quality of life and health of the environment globally. 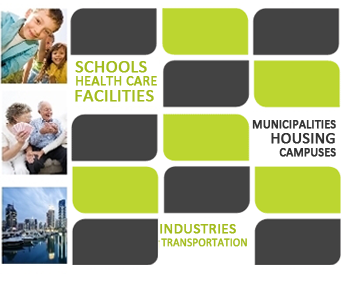 The principles of Eco-friendly Environment, New Urbanism, Smart growth, green building and sustainable community design are all essential elements of our offering to create a dynamic environment where kids, residents, employees, neighbouring businesses and the broader community will interact in a healthy and safe environment. We are dedicated to and humbled by the opportunity to provide domestic and abroad clients with services, systems, solutions & products that will help to solve some of the most pressing global challenges of the 21st century. Certainly ABS Group is improving the quality of life and health of the environment globally. After all sustainable development is the goal of everything we do! Please explore our website & find out the ongoing steps we are taking to be a model of sustainable business operation. Our number of Cutting-edge systems, products & technologies make any project a model of Unprecedented Eco-Friendly Design. Cool the Worker… Not the Workspace! We are the first & the only firm in the world, providing geothermal based spot cooling solutions for industries. ABS ESCO – The only Company in Canada that provides to its Clients Full Range of Unique, Innovative, Cost Effective, Safe & Environmentally Friendly Geothermal Technology based Heating and Cooling Solutions & Services. Heat and cool the entire workspace doesn’t make sense. Spot cooling is the solution. The principle is to create a curtain of air that is cooler or warmer than the stagnate air around the worker by placing insulated aluminum tubes in the direction of worker. We Are The First & The Only Firm In the World that brings Life To Geothermal Design, Engineering & Analysis.Our engineering analysis and simulations Leads to Clear Conclusion and Clear Conclusion Leads toCost Effective & Energy Efficient Solutions. Besides sailing through the process of building energy simulation up to report preparation stages the entire process helps in decision making related to use of insulation on roof, efficient lighting, advanced glazing, high performance HVAC system can be taken with much elevated confidence level. 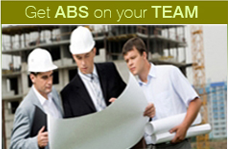 ABS Group of companies has resources, skills and expertise to deliver Carbon Neutral &NETZERO BUILDINGS…… Our approach towards NETZERO buildings is to simply reduce building energy demands in first place or reduce to a point so that all of the remaining energy use can be supplied by clean and abundant renewable energy sources. 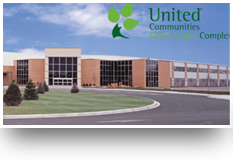 We have the ability and access to Greener your Existing Facility located in Dense Urban Cities with geothermal. 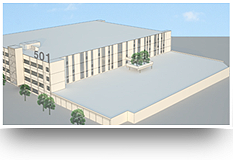 ABS Group of Companies has the skills, ability and experience to convert low performance existing facility into High performance building. With the shrinking natural resource pool, the demand for alternative energy & power solutions are growing sky-high. Coupled with it is the rapid growth rate of economies among the developing countries of the world and unrealistic rise in world population which is already exceeded World Population 7billion.The growing demand for more power and energy have led to more utilization of natural resources and consequently putting more pressure on the natural store house of non-renewable resources including fossil fuels like –coal and petroleum. As a leading ecofriendly group of companies, ABS manages all its business fields in a spirit of sustainable development. A responsible approach to the environment starts at the research and innovation stage. For all our technical progress, protection of climate and resources is vital – whether we are building the world’s most greener building or implementing futuristic and revolutionary technologies such as geothermal for the energy market. Winner of 2011 Prestigious Excellence and Leadership award (Ontario) is no accident. Certainly we prove our leadership that makes ABS entitled for this Award. 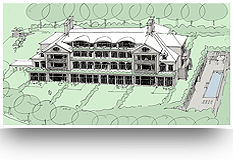 The prizes for Excellence were awarded to regional geothermal heat pump projects which showcase both complexity & quality of installation and design. CGC bestowed awards for projects in three regions: Québec, Ontario & British Columbia. Seven (7) finalists competed during the last stage of the award process. Top people dedicate to your success that provides Elegant solution & indispensable advice from concept to start-up to every complicated engineering problem. Many engineering firms claim to be pioneered in Green technologies – in fact few have actually hands on experience and completed the project with pioneered Green technologies and we are proud to be listed among those companies, as an Engineering and Energy Solution provider, ABS Group is the exception.